This poem is about how it's important to be thankful for everything in life, even the bad things that happen. It's a great poem about perspective. 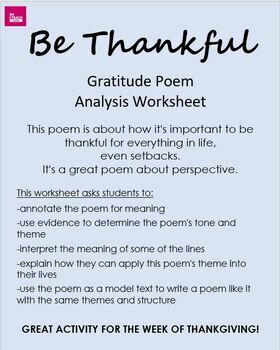 After students write their own poem about gratitude, have them share their favorite line/stanza with the class. 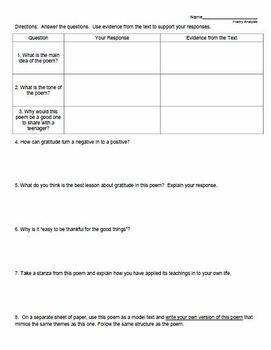 Put them all together to create your own class gratitude poem. Students can rank their favorite lines and connect the ones that are similar. I love sharing these as a class. It's a very positive experience for everyone.